Updated childhood obesity plan: But how does it measure up? The government recently announced new measures to halve rates of childhood obesity by 2030 and significantly reduce the health inequalities that persist – closing the gap in obesity rates between children from the most and least deprived areas. This proposal builds upon the first chapter of the Childhood Obesity Plan, which was widely criticised at the time as lacking the breadth and depth of initiatives needed to effectively tackle such a widespread and entrenched issue. The financial burden of obesity is too great to ignore: it’s estimated that the NHS in England spent £6.1 billion on overweight and obesity-related ill-health in 2017/18, which, to put into context is more than was spent on the police, fire service and judicial system combined. The wider costs to society of these conditions are around £27 billion a year, if not higher. Ever since the Foresight report was published over a decade ago, it has been recognised that obesity is a systems issue and one that therefore requires reform at many points, to deliver change. 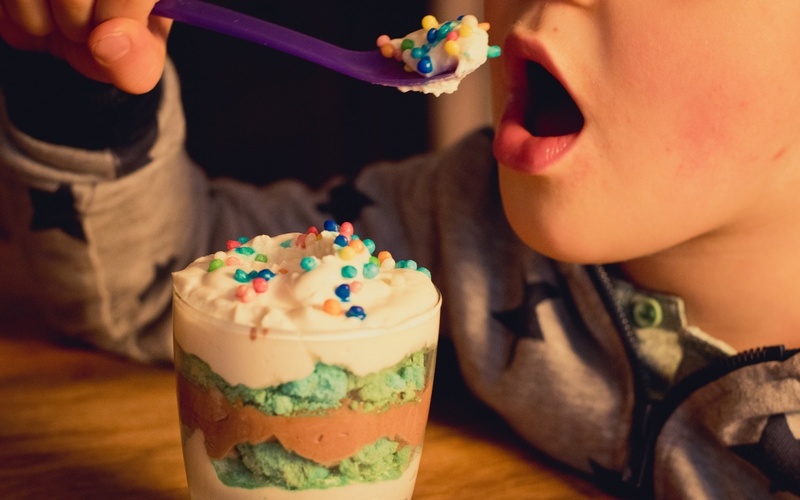 This idea and the fact that no plan to date has sought to address childhood obesity in a multi-sector way, was reiterated in the recent inquiry by the parliamentary Health and Social Care Committee into childhood obesity. Childhood Obesity: Time for Action argued for a change in narrative, making clear that obesity is everyone’s business and “an effective childhood obesity plan demands a holistic, joined-up, ‘whole systems’ approach with clear and effective leadership”. How does the Childhood Obesity Strategy measure up? This update to the Childhood Obesity Strategy is a welcome step forward. It contains a raft of proposed measures that seek to tackle the issue using a co-ordinated range of policy levers. What is also good to see is that this new plan takes a firm but fair approach in how it will deliver change: using voluntary measures in the first instance but being clear that a harder tact with the likes of regulatory and fiscal measures will be considered where progress is deemed insufficient, or where a level playing field is required. Here at Nutrilicious, we’ve taken a closer look at what’s in store and benchmarked the new childhood obesity plan against the World Cancer Research Fund’s NOURISHING framework, as well as the recommendations from the Health and Social Care Committee’s report mentioned earlier. The NOURISHING Framework sets out that policies are needed within three core areas to improve diets: the food environment, food system and behaviour change communication. Ban price promotions such as buy one get one free, multibuys or unlimited refills of unhealthy foods and drinks in the retail and out of home sector* X It is good to see a mandatory approach applied here, as this is what is undoubtedly needed when policies will impact businesses’ bottom line. While we applaud this latest round of the childhood obesity plan, we would also draw attention to the fact that there is still some way to go. By mapping the proposed policy options against the NOURISHING framework, we can see that in this latest iteration of the plan much more focus has been given to shaping an environment that enables and supports healthier choices, which is great to see. However, what is noticeably absent is the ‘I’ in terms of improving food and health literacy of the population. In a ‘post truth’ world where consumers are increasingly sceptical of messages coming from the scientific community, and when social media influencers are capturing the hearts and minds of the masses with questionable dietary advice, never has it been more important to provide clear, simple and authoritative information and advice. As such, we’d like to the see the government step-up their efforts on social marketing and educational campaigns. Finally, while this plan is overtly focussed on limiting unhealthy foods and drinks and making processed, packaged foods a little better through reformulation (lower in salt etc), we would also like to see equal attention given to measures that work improve the quantity and quality of foods that we do want people to eat more of. Changing the dietary landscape will require strong efforts to provide families with the tools and knowledge to instil these healthier behaviours in a sustainable way.